Is there a better way to explain the history of the Jewish people than musical theatre? 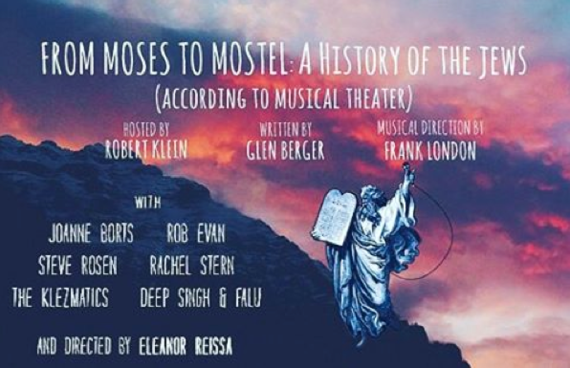 The Town Hall's new theatrical concert, From Moses to Mostel: A History of the Jews (according to Musical Theatre), which plays the famed venue this Saturday, will make you laugh until you cry and cry until you laugh. In a musical-revue-concert hybrid, playwright Glen Berger (Spider-Man: Turn off the Dark), musical director Frank London (The Klezmatics), and Tony nominated director Eleanor Reissa (Cowgirls, The Skin Game) retell the chronological history of the Jewish people, as depicted in musical theatre. Tony nominated Bronx-born comedian Robert Klein (They're Playing Our Song) hosts the evening, which recounts momentous chapters in Jewish history from the creation of the Universe to present day. Borrowing songs from Broadway, Off-Broadway, and Yiddish Theatre, internationally acclaimed klezmer band The Klezmatics accompanies Klein and a hilarious cast of four as they explore the humor, complexity, and pain of a celebrated culture. Blending story and song, From Moses to Mostel is a rollercoaster ride from knee-slapping comedy to beautiful heart wrenching drama. 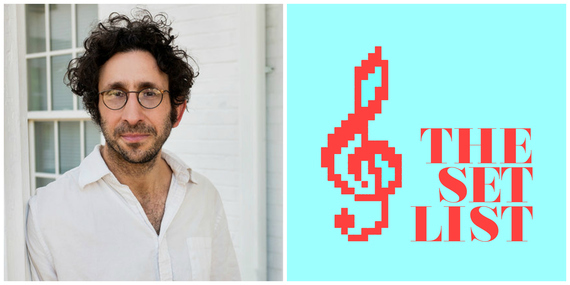 In a phone interview with The Set List podcast, book writer Glen Berger gave insight to how he developed this new concert with The Klezmatics' Frank London and The Town Hall's artistic director M.A. Papper. Once Robert Klein had signed on to host, their project donned a light-hearted tone. Character actors Joanne Borts, Rob Evan, Steve Rosen and Rachel Stern also lend their comedic talents to the diverse material. In the show, G-d tells Robert Klein that He's decided to go with another race to be "the chosen ones." Klein then tries to beg G-d not to destroy human beings, considering how much we've all been through, especially the Jews. Besides a couple of hit tunes by Kurt Weill and numbers from Two By Two, Cabaret and Fiddler on the Roof, interpolated with the scenes are several songs pulled from obscure shows such as Pins and Needles and various 1920s Yiddish folk revues. 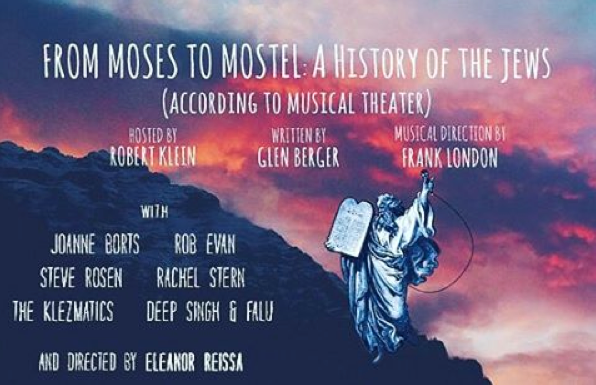 From Moses to Mostel: A History of the Jews plays The Town Hall Saturday, February 27 at 8:00pm. Listen to Glen Berger's interview on The Set List podcast below or subscribe on iTunes.